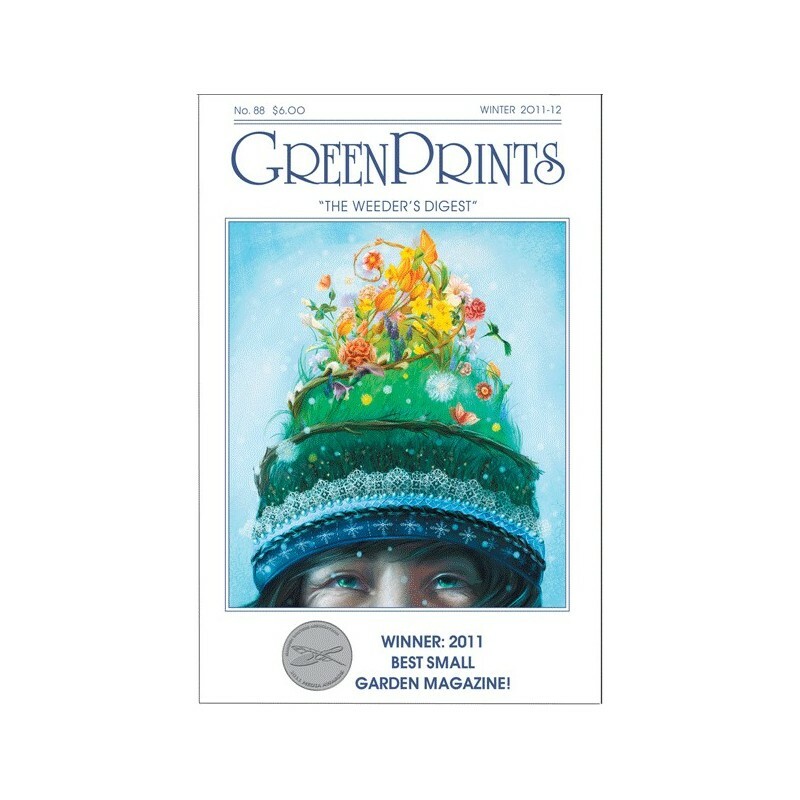 A full-year, four-issue digital subscription—and bonus FREE “Weeder’s Reader”! 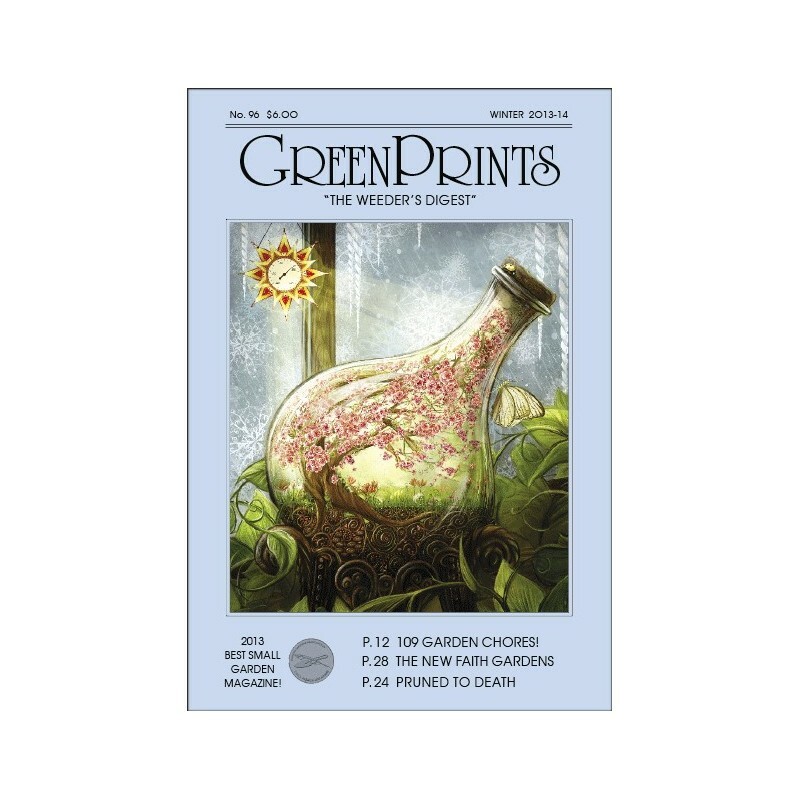 You pay only $19.97 (That's $3.00 off our regular subscription price of $22.97!) 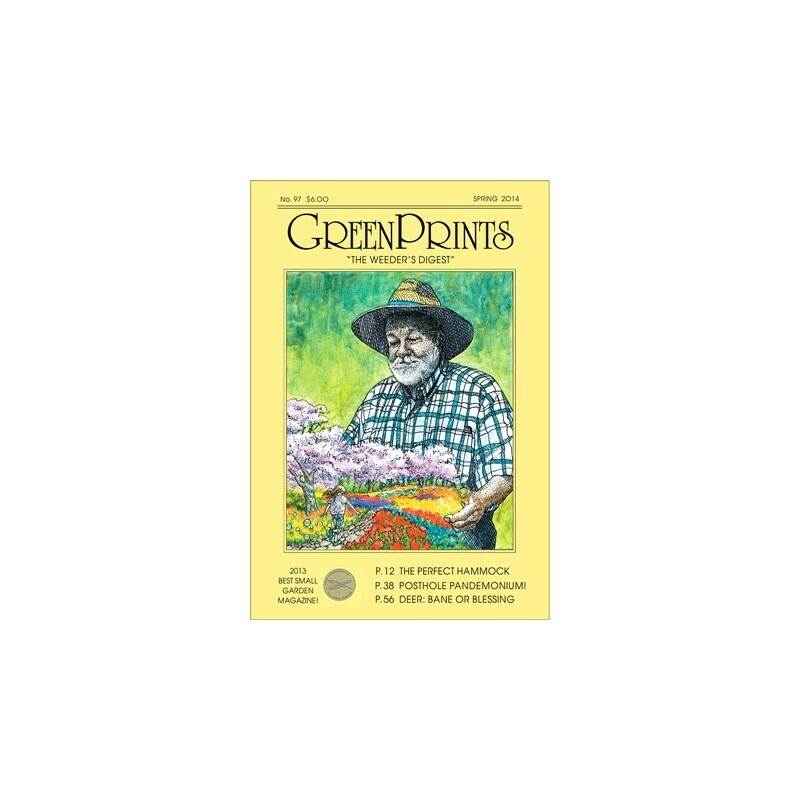 for a full-year, four-issue digital subscription to this utterly unique garden quarterly! 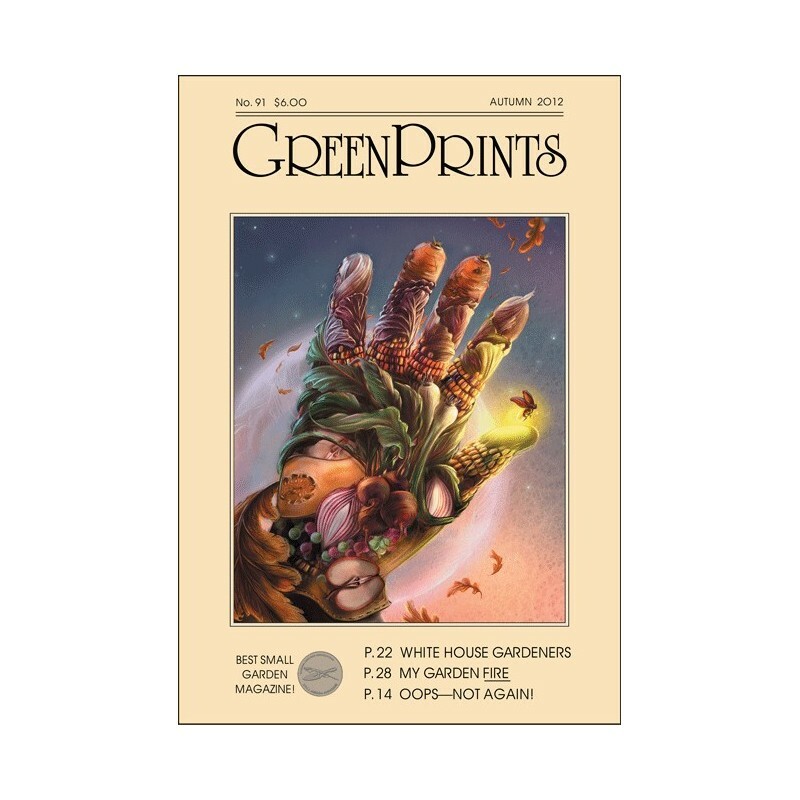 Each issue is like a small book: 80 pages, and laden with art! 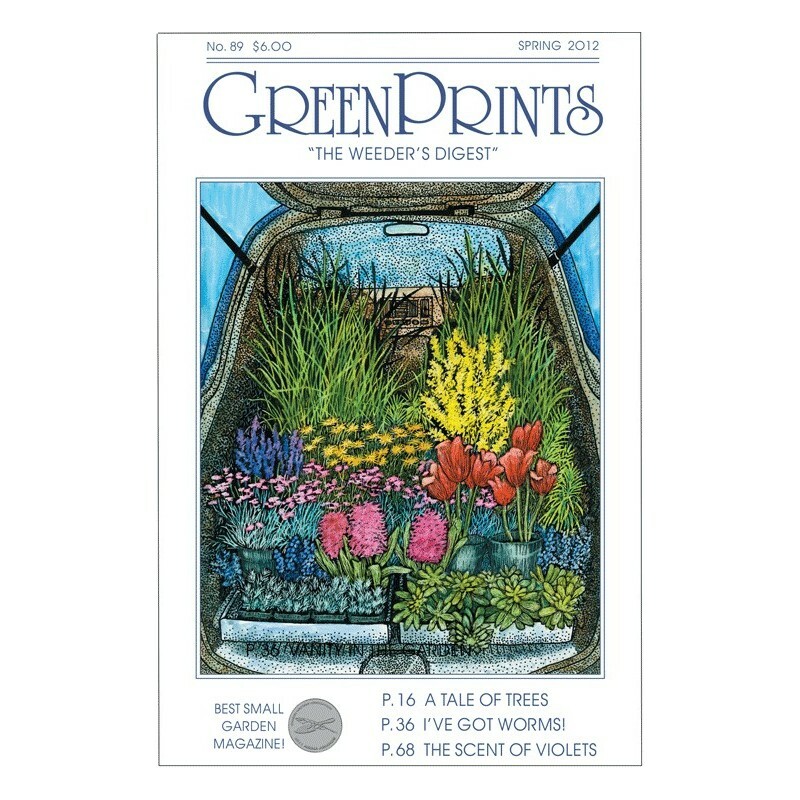 When we get your paid order, we'll send you the link to our brand-new The Weeder's Reader, a special, bonus issue containing 16 of the most popular pieces we've ever run. Then we'll send you the link to the first regular issue of your digital subscription. 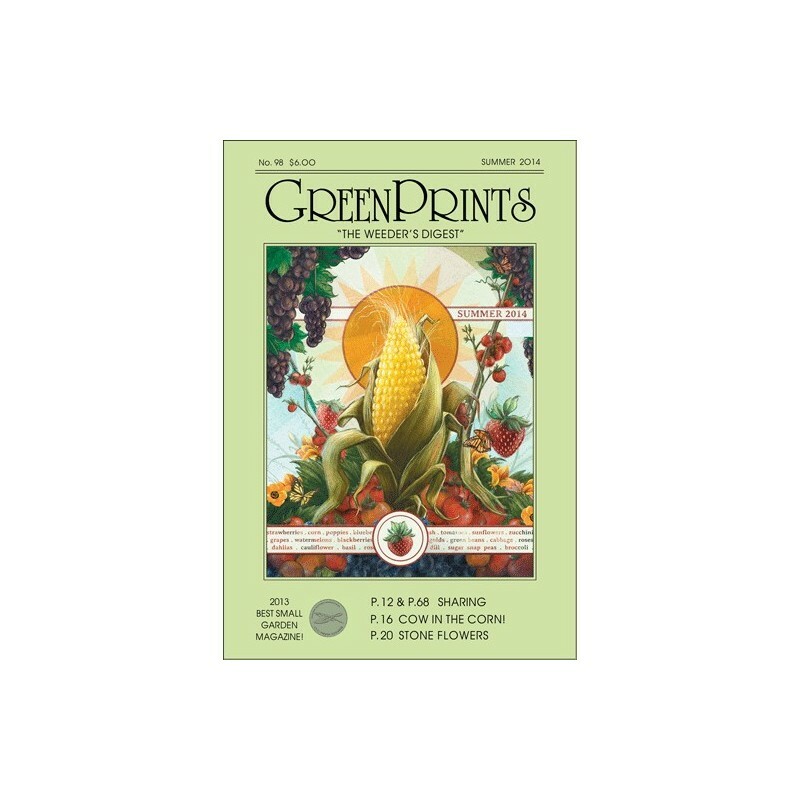 Now you can subscribe to the print and digital editions of GreenPrints at the same time…for only $22.97 – a savings of $16.97 over ordering them both separately! 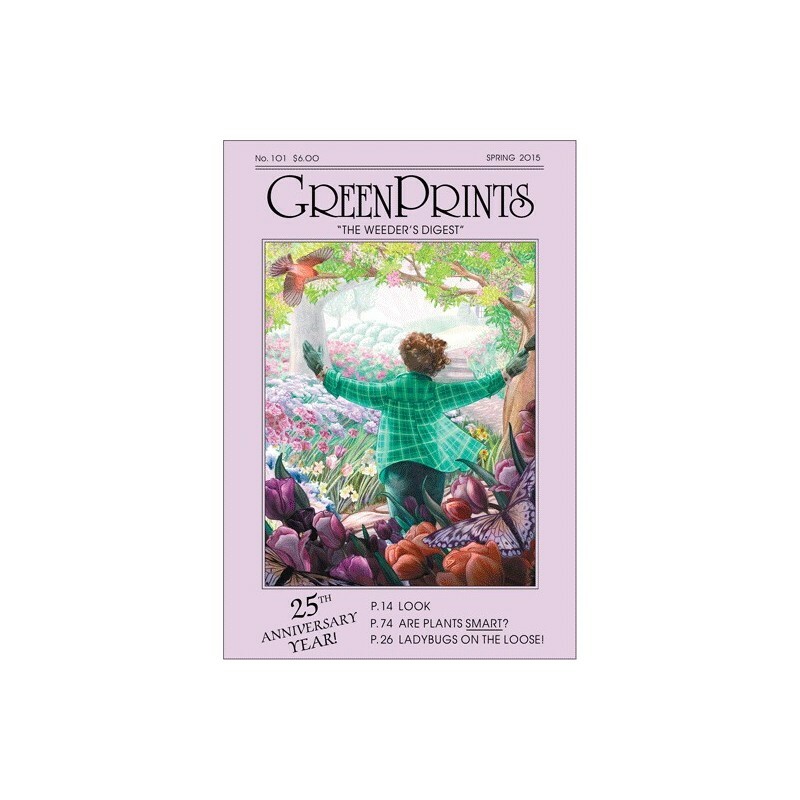 You will get a link to each digital issue of your full-year, four-issue subscription as well as a print edition in the mail! 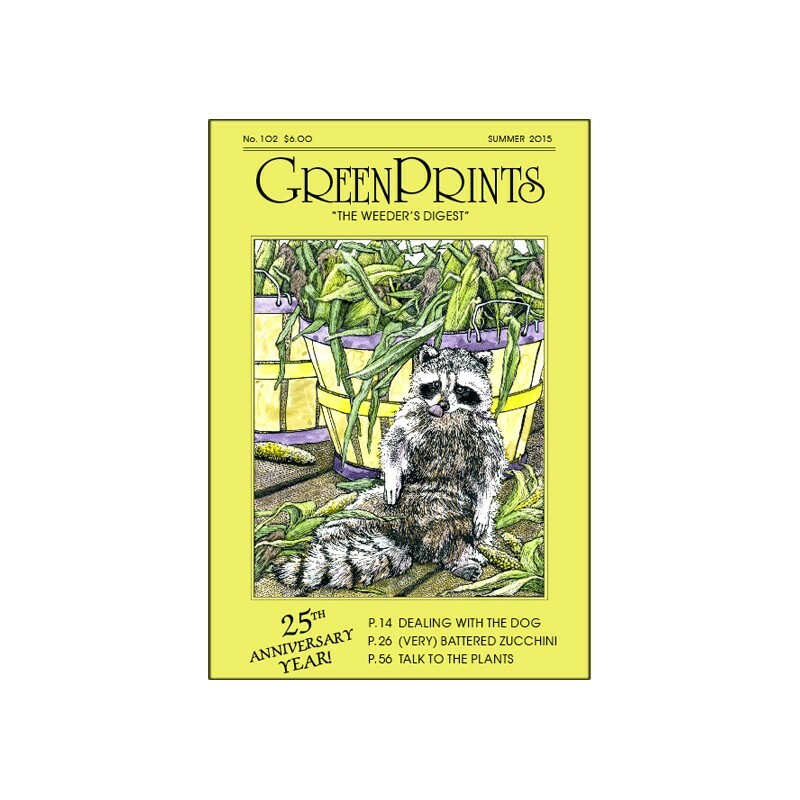 And, yes, this will include digital and print editions of “The Weeder's Reader”, our special bonus issue containing 16 of the most popular pieces we've ever run! Click the cover below to preview The Weeder's Reader. 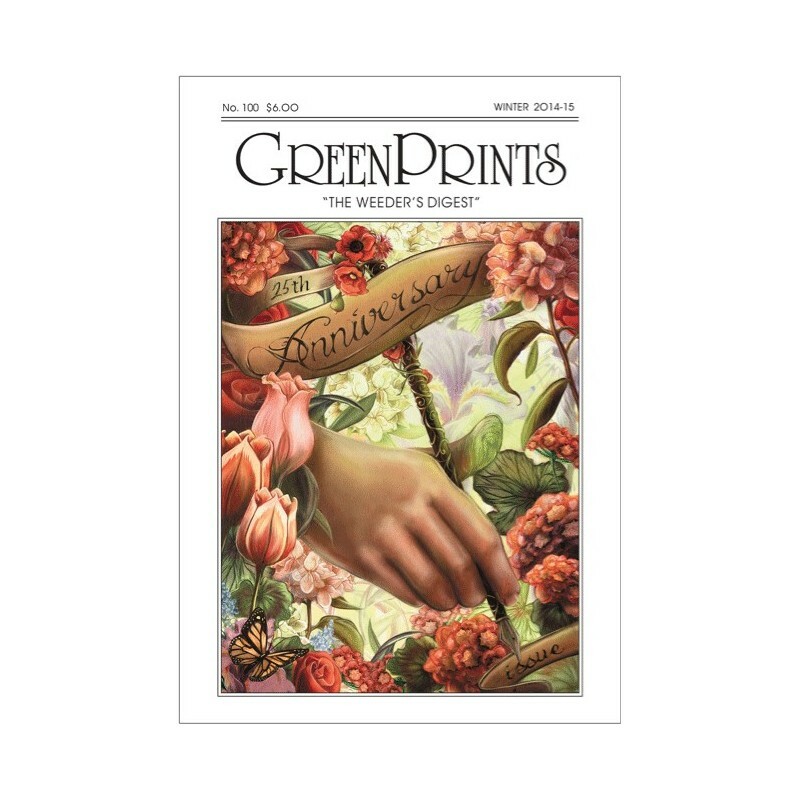 Continue scrolling down to preview the wonderful current issue!